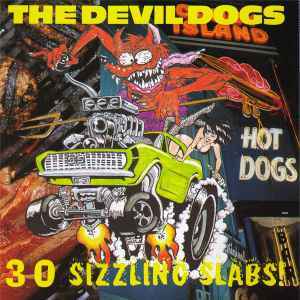 The Devil Dogs ‎– 30 Sizzling Slabs! Compiles 30 tracks out of the 33 tracks on CR-019 The Devil Dogs - The Devil Dogs, CR-022 The Devil Dogs - Big Beef Bonanza! and CR-028 The Devil Dogs - Bigger Beef Bonanza! CD-Title on spine reads "30 Sizzling Slabs"